When I write my own take about an artist’s output, I usually use an album as my basis. That’s why you’ve read a lot of album reviews on my site. I do this because I want to be fair to an artist, and one or two songs here and there may not do their work justice. Furthermore, artists put a lot of effort to have certain concepts in their albums (I don’t necessarily mean a concept album) and that forms a big part of my analysis. But in certain cases, even if there isn’t a full-length album, the standalone tracks are so promising that I want to make the introduction to my readers. On that note, we’ll talk about Delta Works, a band that hails from England with members from both England and the Netherlands. At the time of writing, Delta Works had 5 tracks available on various music platforms and those songs will form the basis of this analysis. The band themselves state that they are “here to truly let you taste the colour of psychedelic grooves.” I’d say that’s accurate. I found a lot of depth in their music. There’s definitely an element of psychedelic rock. It’s the overarching vibe. But they did a good job of being able to mix different elements in their music to keep it interesting. I’ll touch upon this aspect of their songwriting when I talk about the different songs they have released so far. The band is comprised of Folly den Toom on guitars, Josh Thomas on bass, Joseph Duquemin on vocals, and, James Murrell, who recently joined the band, on drums. When the band was formed in 2017, Delta Works wasted no time in putting some ideas together. I like the fact that they focused on making the best songs they possibly could rather than saying “let’s make an album”. Sometimes, you just gotta go with the flow and see where your music takes you. You don’t always get tracks that end up in an album for one reason or another – but it may work incredibly well on its own. Delta Works is currently working on their first full-length album, which is due for a release in 2019. When I communicated with den Toom via e-mail, he told me these 5 songs weren’t going to be included. When the band started coming up with new tracks for their album, it became clear to them that as much as they loved these earlier tracks, their songwriting had now matured and reflected the new era of the band better. Furthermore, the concepts they explored in their new songs worked well together; but it also meant these standalone tracks weren’t going to fit with the rest of them. But these songs are still out there to serve as an introduction to what Delta Works is capable of writing. In the below review of these songs, I didn’t necessarily follow a particular order. Rivers of Dye opens with a mellow guitar arpeggio that then develops into an atmospheric track that I think would go great live! This track has more elements of grunge than psychedelic rock, but it’s delivered well. The bass really is the unsung hero of the track – I think it keeps the groove solidly. The transitions from the more mellow parts of the song to the heavier sections are managed smoothly too. If you want to get a taste of how Delta Works handles the grungier side of things, start right here! 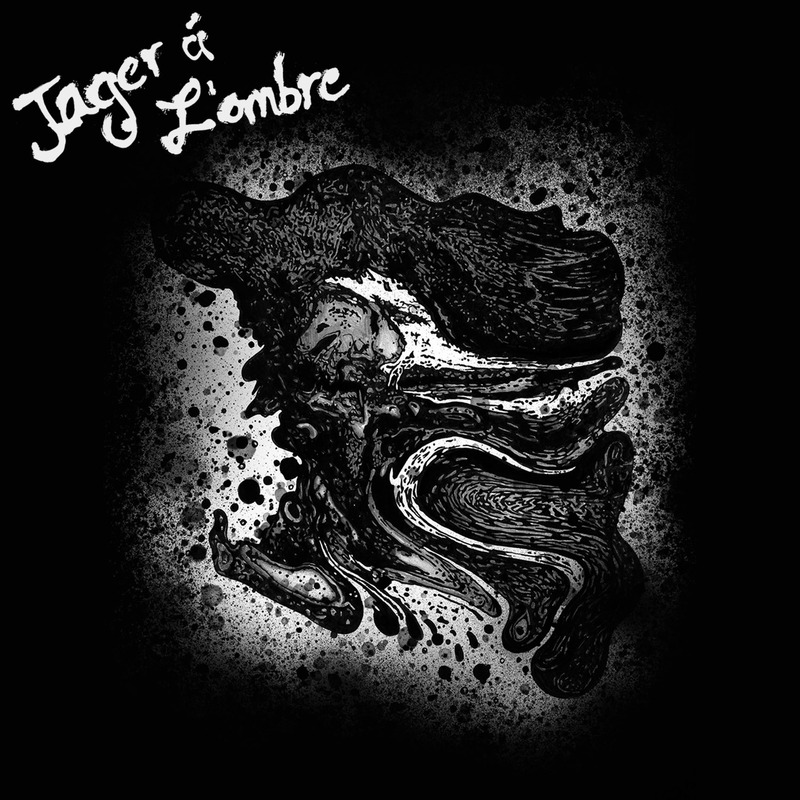 Jager à L’ombre, which combines Dutch and French and translates into “Hunter in the Shadow”, was the first song I heard from them. I saw it on YouTube before I’d even looked them up on other platforms. The title and the lyrical concept work together, as the song “tells the story of a character with personal demons in the forms of depression and anxiety”, the band notes on their website. Musically, it opens with a somber introduction and the vocals reflect the overall mood of the music too. What I liked about this song, and what originally made me want to review their entire body of work, was the quality of the production. The song sounds great – all instruments, as well as the vocals, have adequate room to breather on their own and it creates an engaging listening experience. Later on, I found out it was produced and engineered by Mike Lord. I’d love to hear more of his work too. Around the 2:00 minute mark, we get into a more grungy sound once again. I actually hear the Pearl Jam influence in that section, and that’s never a bad thing! Overall, it’s a really well-executed track that doesn’t stay on one thing too long; which will make you want to keep listening. Cool lead guitar work in here too! Now we get to my favorite tracks. Horology and Sand Flows. I’m going to approach these two together because they both evoked similar emotions. They both show a very different side of the band as compared to the first two tracks I analyzed here. Sand Flows, in particular, is an incredible track. It’s unique in structure, and it just took me to a different era of my life where I was listening to a lot of music that you could describe as psychedelic rock. It was nice to re-visit that time in my life and some of the bands I was following at the time. I’ll get to all of that in a second. Horology incorporates some sinister sounding licks, reminded me a little bit of ‘90s era Mercyful Fate. It starts that way, and later on the riffs after the 2:00 mark continue in that vein. It’s definitely heavier than the first tracks I listened to. It has a tasteful Eastern vibe to it, which, being from Turkey, I’m always drawn to. Heavy metal nicely lends itself to these exotic riffs, melodies, and sounds. There’s a fantastic solo around the 3:10 mark that goes well with the rest of the song. I think this track represents the heavy metal side of the band. I thought this was going to be my favorite track from them until I heard the next song on the playlist: Sand Flows. The previous paragraph probably contains everything you need to know about what you might expect from Sand Flows but let’s talk about the actual track for a bit. The song opens with a bass intro and then builds up with this quirky melody that instantaneously creates this psychedelic vibe in your mind. The song then goes from heavier rock back to more psychedelic verses. But the overall melody you hear is what makes the song what it is. I love the way the track builds up to the heavier section and amazing the guitars and bass work together. Josh plays some great bass lines that give the track a lot of groove and I think Joseph delivers the best vocals I’ve heard in these 5 tracks. This isn’t an easy track to describe. But you’d be missing out a lot if you didn’t listen to it. I have no idea what kind of sound the band is creating for their upcoming album, but this sound they created right here, is definitely my personal favorite. I already lost count on how many times I repeated this track. The last track in the playlist was The Flood. In a way, it’s the perfect track to end my review because it captures almost all elements of this band. 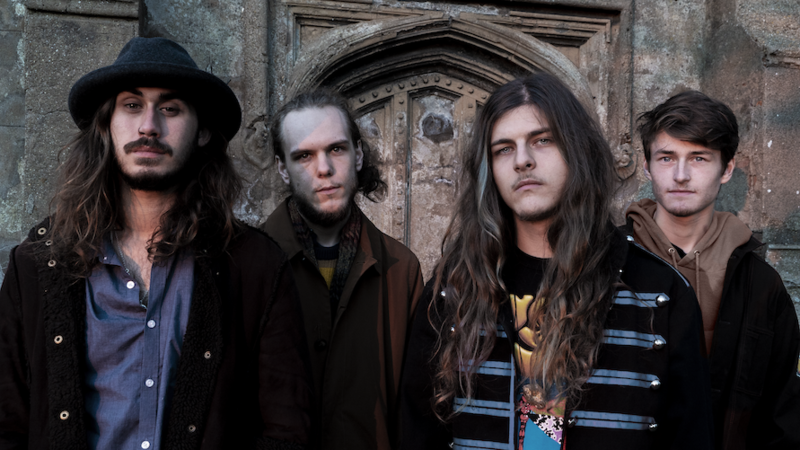 You hear elements of psychedelic goodness, along with more straightforward rock riffs. You can’t really understand what a band is about just by 5 tracks. So, I won’t make that claim. But there was enough diversity in the songwriting that these did give me an idea of what Delta Works is capable of writing and where they might go next. I like their psychedelic side more than anything. It really brought back memories from a different life and I thoroughly enjoyed that while I reviewed their music. Every song has some great moments, but Sand Flows should be the first song everyone should listen to! You can check out all of these songs on Spotify or iTunes. For more information, as well as their social media channels, you can go to their official website. I’m looking forward to their 2019 full-length debut!